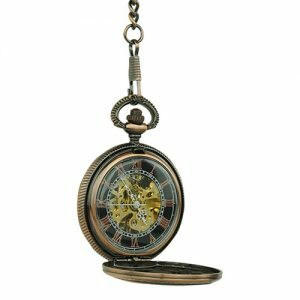 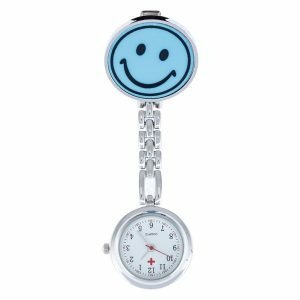 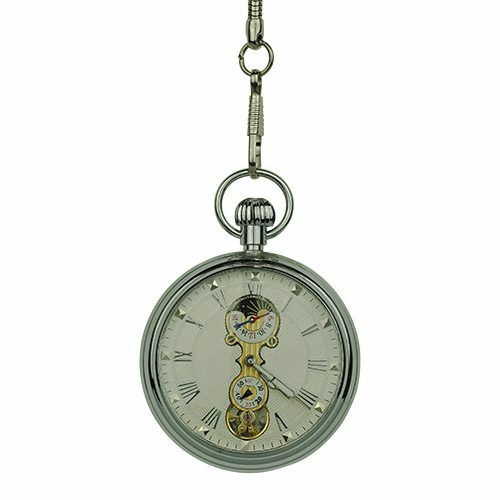 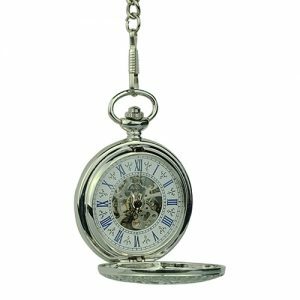 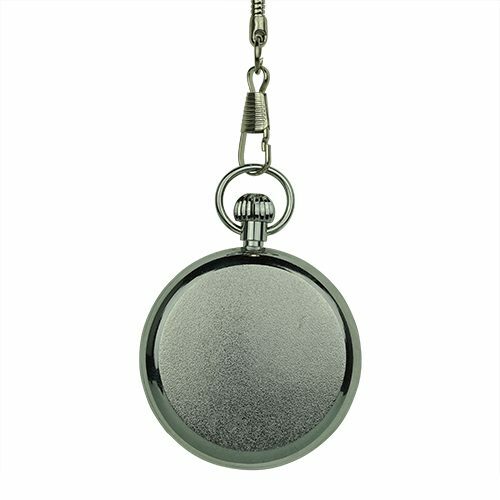 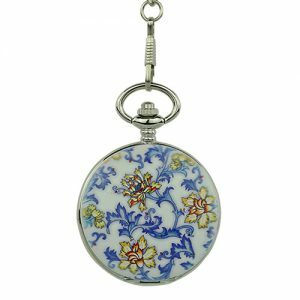 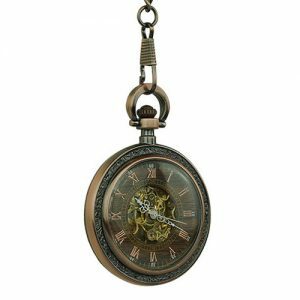 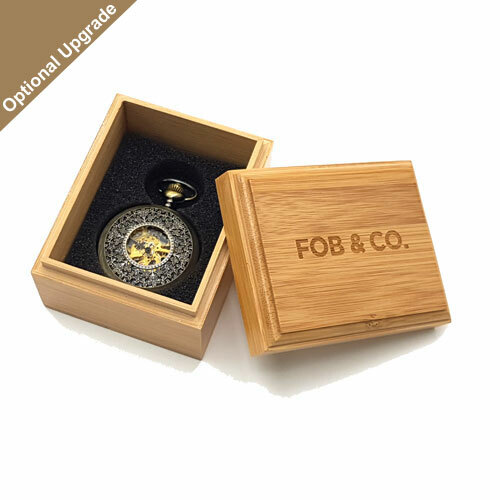 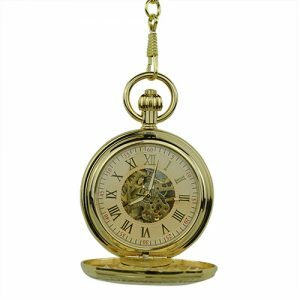 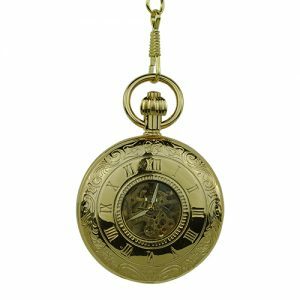 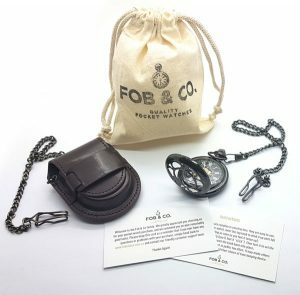 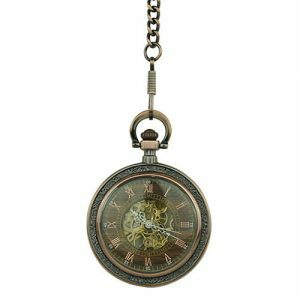 This timepiece is a combination of a pocketwatch with a modern twist. 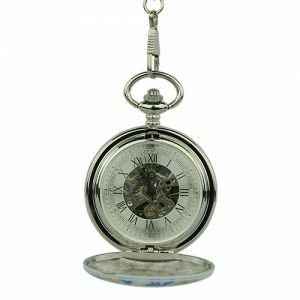 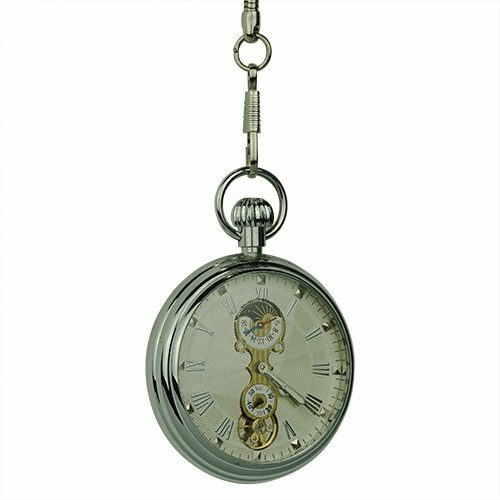 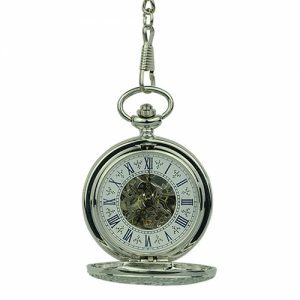 Featuring a polished silver front frame and a window that exhibits the silver roman numerals accentuated with pieces of metal sitting in a white ring background. 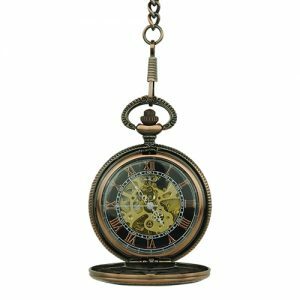 All is highlighted with the mechanical subdials, a 24-hour register and a 30-minute register both sitting in a connected yellow sphere, while the back frame is crafted in an orange peel texture.